Teaching FSL: Teachers Are Heroes - who deserve a sale! 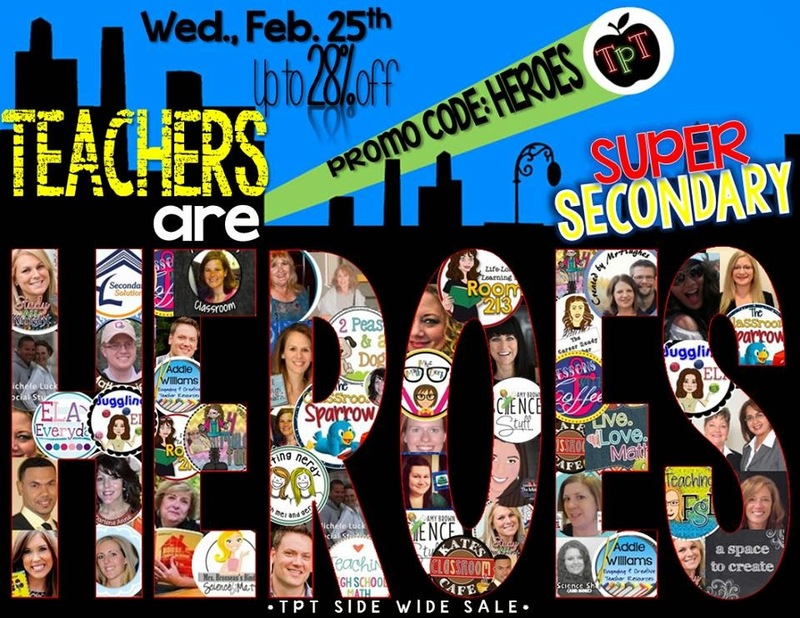 Teachers Are Heroes - who deserve a sale! TeachersPayTeachers is recognizing the hard work that teachers do with a site-wide sale later this week. The theme is - Teachers are Heroes! This Wednesday, use the promo code "heroes" to save an extra 10% off the sale price as determined by individual sellers for their TPT products. I'll be discounting most of my store the full 20%. When you add them together, then that equals 28% off, because the 10% is applied to an already reduced price. Be sure to check out some of the other incredible Secondary Teacher stores included in the graphic above, or the list below.